Boating is fun, but there are a few things you should know about the hobby before you venture out into the horizon. Here are three tips to help you enjoy yourself and stay safe on the water. You should plan your launching process before getting your boat close to the water. Boat launches on weekends and holidays can be very hectic. 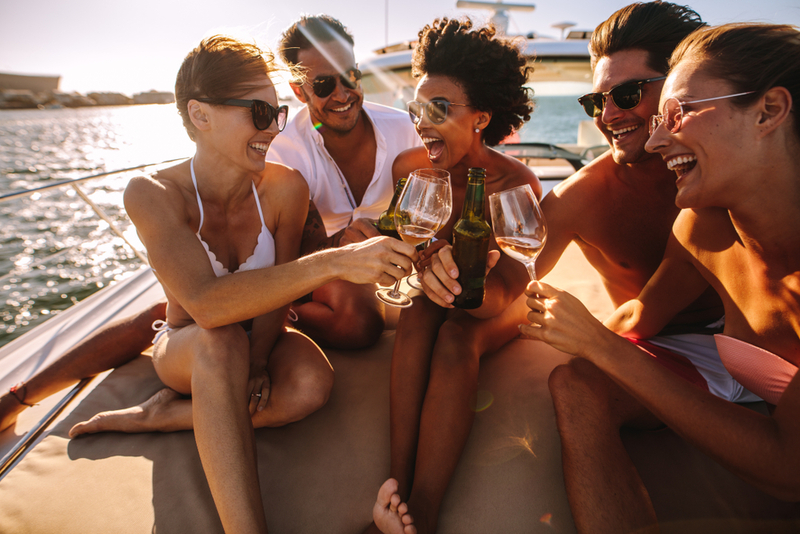 Getting your boat on the water without a lot of drama can be a challenge for every boat owner. Make sure that you are comfortable backing your boat a long way. The launch driveway may not be long, but it will probably be steep. You need to get confident in backing your boat and possibly losing your orientation to it as the trailer drops down towards the water. You can get confident by practicing moving your vehicle and the trailer through a large empty parking lot. Learn what it takes to align your boat and trailer with the stripes on the lot and then maintain your position within that border as you back up for what could possibly be a very long time. Be sure that you have placed gear, such as coolers and fishing tackle, on the boat before approaching the launch. Note that children and others requiring flotation devices and should have them on before you launch the boat. They can safely board the boat after it is in the water and next to a dock that allows easy entrance. Once the boat starts to float, have someone holding onto a line (rope) to keep the boat close to shore or a dock. You and your passengers have a good chance of getting wet while enjoying your new boat. Imagine the scenario of you just parking your tow vehicle and walking back to your boat. What are you going to do with those battery-operated remote keys that you just used on the tow vehicle? Sensitive items should be stored in waterproof storage containers, and you might want to pack an inflatable boat just in case. It is also important to have established a storage place that keeps some of the water splashed into the boat away from your storage containers. Tell your fellow passengers about where the storage location is in the event of an emergency. They may need to retrieve these valuables for you. Now assume that you have securely stored your sensitive items in a waterproof bag. Before you begin to untie your boat, you hand the bag to an excited passenger. The passenger fumbles and the two of you watch the items sink. You have learned that storage must be water tight and it should float. That is why the boat dealer might have handed you the keys to your new boat with a little flotation device attached to them. As you begin to pull away from the dock, you stand a good chance of meeting other boats. Boating rules match many automobile driving statutes. When you meet a boat head on you should keep the other boat to your left. The process is called left to left. Many of the rules of the road for automobiles are like boating. For example, the boat on the right has the right-of-way when crossing each other’s path. It is best to be cautious when following this rule. Because, like driving on the highway, not everyone knows the rules like you.